The Plovdiv Night of Museums and Galleries will offer a concentrated experience of the visual and performing arts for the 7th consecutive year. More than fifty locations – museums, galleries, bookshops, clubs, streets and parks – will remain open to the public for the duration of 10 hours on the night of 17th September, turning Bulgaria’s second largest city into a giant art stage. 40 000 visitors and guests attended last year’s edition of the Plovdiv Night of Museums and Galleries, which makes it one of the largest cultural events in Bulgaria. The festival takes its cue from the best traditions of art cities around the world, while at the same time serving as a catalyst for local cultural processes. This year's program includes exhibitions, educational programs for adults and children, interactive performances, meetings with artists, live events across the town, concerts, screenings and workshops. The program will be divided in three segments: Museums&Galleries, which provides a core of professionally curated shows; Culture & Club, with the participation of cultural institutes, bookshops, informal art spaces and clubs; and The City and Public Spaces segment, whose events will happen across the town. All spaces will be accessible to the public from 7 p.m. on Saturday, 17th September to 1.00 a.m. on Sunday, 18th September. A separate children’s program – the Small Night – will be organised from 5.00 p.m. to 8.00 p.m. on Saturday, with entertainment and educational events provided for the youngest. 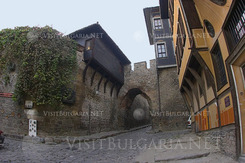 The official afterparty of the Plovdiv Night of Museums and Galleries 2011 will be hosted in the Tobacco Warehouse, on the corner of Ivan Vazov St. and Ekzarh Yosif St., in the small hours of 18th September. Most of the events in the program are produced by the participating cultural organisations, with the Open Arts Foundation running two platforms of its own – Special Projects and Open Call platform. New participants in the Plovdiv Night of Museums and Galleries this year are the recently renovated Regional Museum of Archeology, the Ivan Vazov National Library, the Surp Kovork Armenian church and the Victoria and Kirkor Armenian school, as well as locations such as Fabric Bar in 31 Otets Paisiy St., the iconic and now derelict Cosmos Cinema and the monument to soldiers who have died for Bulgaria known as Bratska mogila. A new element in this year is a VIP event – called the Collectors’ Forum – which will from now on precede the official shows. Its goals are to provide visibility for successful private collectors’ practices and to encourage aspiring collectors to start and run their own art collections. Participation in the event is by invitation only. The visual identity of the Night is the work of Poststudio for visual culture, who have developed a special font inspired by the city’s street signs, graffiti and magazines, called The Letters of Plovdiv. Visitors and guests of the festival can put together their itineraries with the help of the Night’s catalogue, which includes a map of all locations. The Plovdiv Night of Museums and Galleries is organised by the Open Arts Foundation in partnership with the Municipality of Plovdiv and the financial support of the America for Bulgaria Foundation and Vivacom.